The decision to build a convenience store in the Dallas-Fort Worth area isn’t something that occurs on a whim or is undertaken without taking a number of different factors under consideration. Simply looking for the least expensive option when you choose a convenience store construction company are things that can end up haunting you or putting a major dent in your bottom line. 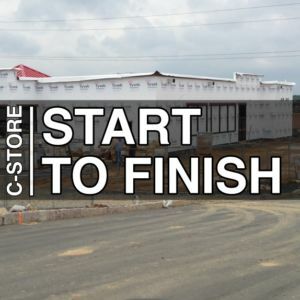 To begin, working with a C-Store builder that has experience in all facets of a project helps reduce the level of any concerns. That’s because they’re familiar with the planning phase, which comes long before any shovels enter the ground. They also have a grasp of the local market and can offer tips on good locations to build. One trend over the past few decades that continues to be a popular one is emphasizing the convenience factor by including a gas station as part of the overall build. That particular builder needs to also have experience as a gas station construction company, something that often reduces the number of potential firms in any selection process. The design of the store in question often depends on who is funding the project. For independent entities, the freedom of choice is larger, yet getting it right can be a challenge. That’s where working with a C-Store builder that’s done it before is helpful, since they know all about key aspects like traffic flow within a store and where things like coolers should be located. For those national brands that come to Dallas-Fort Worth seeking to build a convenience store, that design is likely already in place. That means that the convenience store construction company that they work with should be able to simply follow the established dictates. In addition, they should be frequently communicating with that parent company, which may be located thousands of miles away. Stovall Construction has more than four decades of experience in the construction business and has built countless convenience stores for its clients. We also know our stuff when you need to work with a gas station construction company to make your project come to fruition. That level of versatility can be invaluable when it comes to making sure that all the boxes are checked off in any project. After all, not every construction company may have the know-how to ensure that the HVAC system is installed safely. Also, the parking layout may not be a high priority for them or handling the construction of underground tanks for the fuel is something that’s handled haphazardly. Even the basics of having the proper permits is something that doesn’t seem to register for some construction firms. Such mistakes can help grind a project to a halt and end up costing the convenience store operator money. To build a convenience store right, having trusted suppliers and avoiding shortcuts during the construction process offers the peace of mind that helps ensure that target dates are met. Without such components in place, delays because of supply logjams or worker safety lapses become a factor. So when you need a convenience store construction company that you can place your faith in for your Dallas-Fort-Worth project, look no further than Stovall Construction. Your project may also entail the need for a gas station construction company, something that’s also part of the Stovall brand. In short, we’re the C-Store builder you want. Give us a call today at 817-572-1331 or simply contact us through our online form.